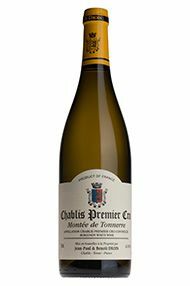 Fifty percent barrel-fermented, this is made from 80-year-old vines planted on deep marne soils. As always, it has produced a powerful and muscular wine with a fragrant lavender nose. There is plenty of rich stone fruit on the palate, backed up by a refreshing citrus edge. Drink 2020-2028. Fifty percent barrel-fermented, this is – as ever – incredibly complex and tightly wound. 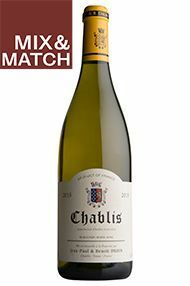 Packed with vibrant fruit on the entry, it tightens up with a core of citrus, finishing on notes of hot, flinty stones. Sublime. Drink 2022-2032. For his second vintage of this wine, Benoît has cut back on the oak. This is pale in colour, and clearly shows ripe fruit, weight and spice. It’s not just the weight that impresses, but the sense of precision and depth of fruit. It is a really classy wine, with abundant minerals and a touch of spice. 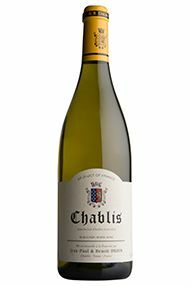 The vineyards near to Chablis itself were affected by the heat at Whitsun, which damaged the flowering, so the quantity of wine is no better than last year. Outlying communes, however, were less impacted. Benoît began the harvest early, on 11th September. He compares 2014 to 1996, 2007 (only richer) and 2010 (only more mineral). A recent development here is for the wines to be fermented using their own indigenous yeasts. 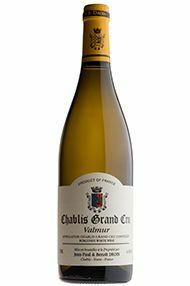 This has a fine, pale colour with both concentration and mineral tension on the nose. Although backward, there’s a little fresh fruit too. It opens out to a more succulent mid-palate, still with more tension than opulence: this is very tight indeed and so promises a great future. A really impressive Grand Cru: primrose yellow, with rich, lovely oak; a proper nervous tension underlying, and amazing length. There is a little more wood used here (45%) this year to match the concentration of the vintage. Benoît Droin is the 14th generation of the family producing wine in Chablis, looking after a 25-hectare domaine with an impressive range of Premier and Grand Cru vineyards. Overall Benoît’s crop was down 15%, largely in straight Chablis after frost, and in the early ripening plots which suffered from drought. The wines are very backward this year as the prolonged cold spring inhibited the malolactic fermentation. However, it is very clear that these are wines of great concentration and real potential. Pale but intense and ultra-concentrated, this displays very dense white fruit and an edge of smokiness. 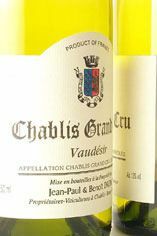 Highly impressive, there is weight and fruit richness, with lovely lemon-scented notes, brilliant intensity and a fine suave finish. Another great example of Les Clos magic. 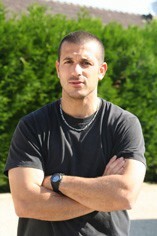 Benoît began harvesting on 26th September so almost everything was picked before the rain. Supply is down 30 percent because of the flowering but there was very little rot. It all passed off without problem during vinification and in the cellar. Quite closed on the nose, but hints of what’s to come peek through with majestic fruit, wrapped up in fine oak. Big and rich on the palate, ripe fruit and a splash of oak lead on to a huge amount of mineral saltiness. Very impressive, this is a true vin de garde with a very long finish. One for the back of the cellar, tuck it away for 3-5 years at least.